Deposit Due upon sign-up $500. 5 of 7 day all Mountain lift pass, Aspen/Ajax, Snowmass, Aspen Highlands, Buttermilk Mountains. 7 Nights Lodging at premier Luxury Gant Condominiums,Two Bedroom/Two Bath Condo with full kitchens, fireplace & laundry. 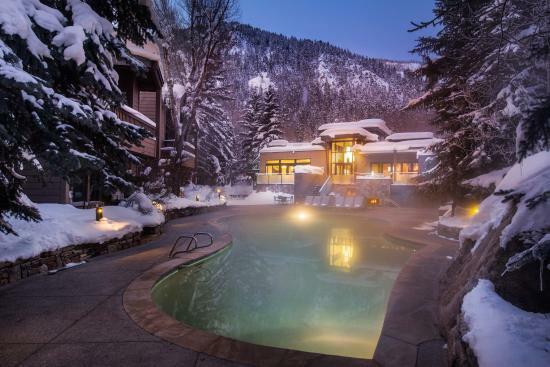 3 Hot tubs & 2 heated pools on premises. The Gant is 3 blocks from the Silver Queen Gondola on Aspen Mountain. The Gant is also located blocks from the downtown, there is a shuttle that will drop you off at the Gondola or anywhere else in town. Great transportation from the Gant to the ski area that runs a continuous loop from 8-10 am & 3-5 pm that takes about 2 to 3 minutes, remainder of the shuttle is on demand. Farwell dinner with Departure Instructions Friday evening. Return Motor coach transportation from Milwaukee to Appleton & Green Bay. Additional details & sign up form to follow in the September Newsletter & on the Website. Fine Print: You must be a member of the Sly Fox Ski Club or Gelandesprung Ski Club to participate. See sign up form for complete details.